Chicly dressed, the girls served vocals and dance moves that are sure to attract even more fans. That’s not all. They also announced plans for a North American tour kicking off this April. Partnering with Kia, the group will play their first set in Los Angeles April 17. After that, they’ll make stops in Chicago, Newark, Atlanta and Hamilton, Ontario before closing the tour in Dallas/Ft. Worth on May 8. Tickets will be up for pre-order February 20 at 4PM local time with a limited number of VIP options available. 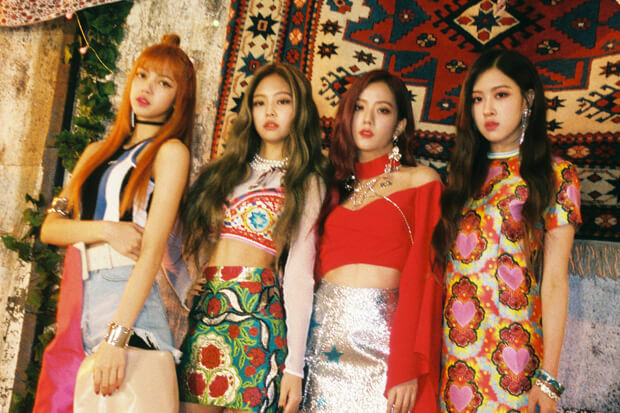 Get ticket information here, watch BLACKPINK take over GMA here and check out their set from The Late Show With Stephen Colbert below! Did you love the performances? Let us know below, or by hitting us up on Facebook and Twitter!